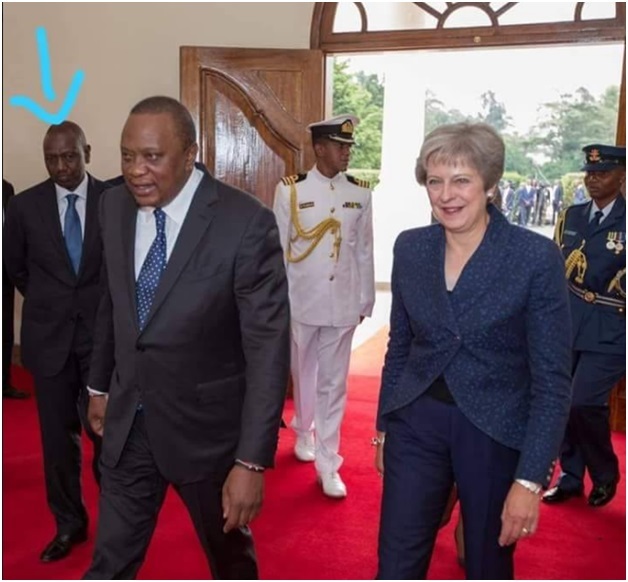 Friday, August 31, 2018 - This photo of Deputy President William Ruto looking a bit disturbed and embarrassed when President Uhuru Kenyatta was hosting UK Prime Minister Theresa May at State House has left tongues wagging and elicited mixed reactions on social media. Some people are making fun of Ruto saying that Uhuru has reduced him to an errand boy. What do you think about this photo guys?